This weekend, I had the joy of working with Ashok, whom like Geoff from the week before, also has a trip up Mont Blanc planned for August. 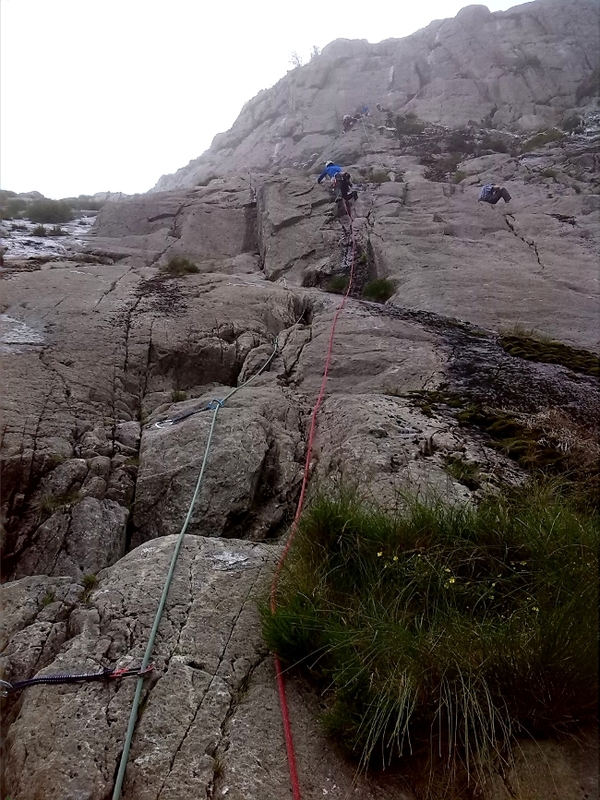 The Aims of the course were to take an indoor climber and teach all the necessary skills to be a competent trad climber, skills that will definitely help in the Alpine climbing. 2 bits of gear, sling clipped to both, big overhand knot in the sling, clove hitch rope from harness to carabiner on the sling. 2 bits, run each rope through a carabiner on those bits of gear, then back to a clove hitch on HMS carabiner on harness. These methods obviously all work for 3 pieces of gear in the rock (or trees etc), with slings, single rope or half ropes. After talking through and then practising all of these methods, and looking at each of the nuts, hexes, cams and sling placements (The Beacon centre has holds that are designed to take nuts/cams and show this), we did a bit of abseiling in prep for the next day. Come 3 o’clock the weather had dried up for about 30 minutes. The wind was blowing a breeze from the SW, so with a bit of local knowledge, I thought we could try Bus Stop quarry for a quick hit, and put into practise some of the things we’d seen indoors all day. Equinox or Solstice at Bus Stop, I can never remember which? After a route and a half, the rain came again to call an end to a intense learning day. Sunday, we visited V12 Outdoor shop, where I gave Ashok a 15% off voucher as my client, because I am a member of the Association of Mountaineering Instructors (AMI), so he bought a few sets of nuts and a rope. Then we headed straight to Cwm Idwal Slabs. I’ve never really seen the slabs that busy, there were a large contingent from the Peak Climbing Club, two groups from the Aylesbury Climbing Club, another MIA and her two clients and a group in front of me climbing as a 4 (very inefficiently and dangerously too). After a few pitches, and letting Ashok build belays when he arrived below my belays, I was confident in his ability to determine the difference between a 2/5 marginal placement and a bomber 5/5, and also knew he is a very switched on guy. 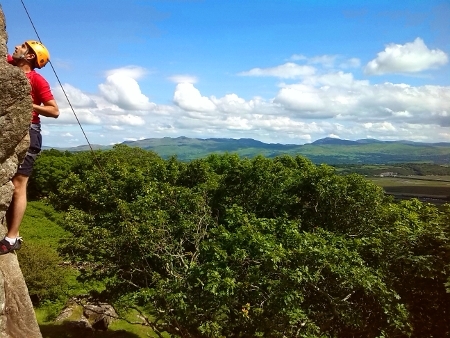 Above is the photo of us switching gear and alternating the Lead for Ashok’s first go on the ‘sharp end’ of the rope. The weather started to come in, with thick cloud rolling over the Glyders onto the slabs. Once at the top, I thought we’d try a quick 2 pitch route on the Holly Tree Wall… “Original Route“, first done in 1918 which was a massive massive effort back then… The foot hold that you have to use to do the hard moves has been used by just about every person to ever do the route… it is very very polished and slippery! The rain from the previous days didn’t help either. 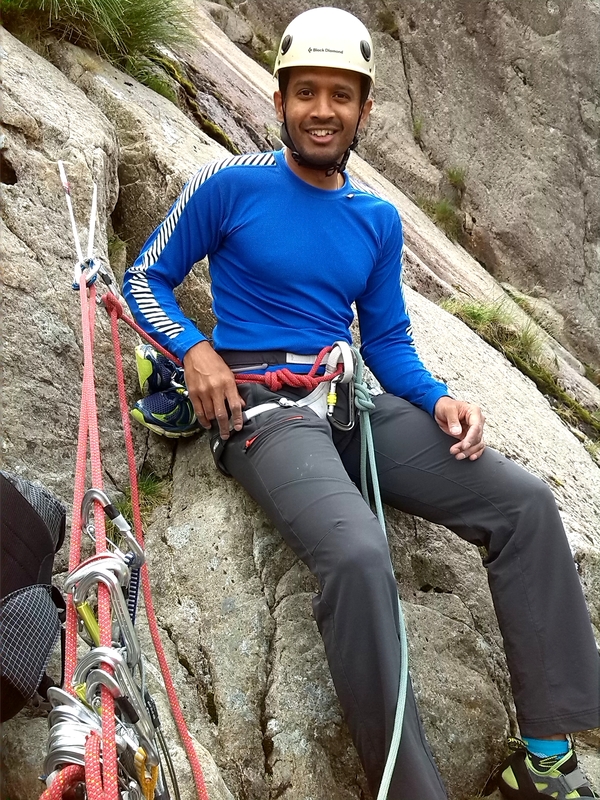 Once Ashok arrived at the belay, having done the hardest move of the weekend, we left a bit of gear behind and abseiled down so as not to miss his train. 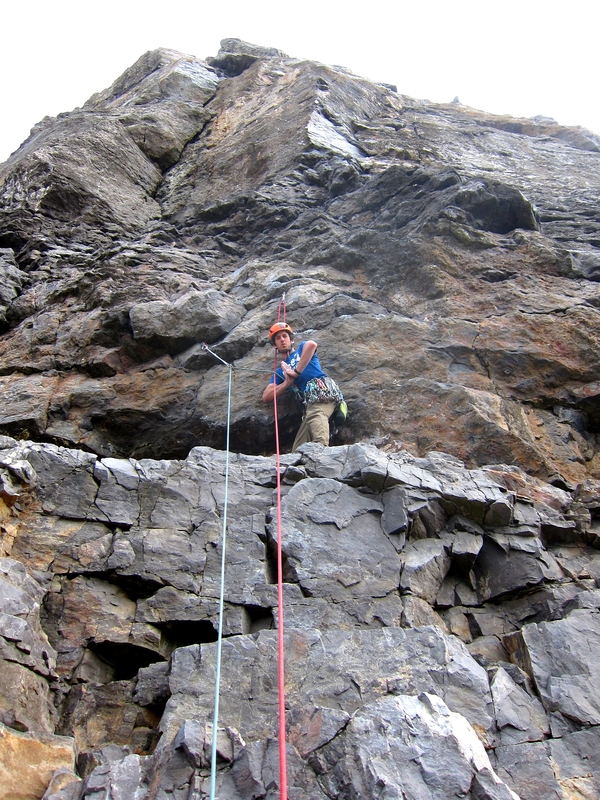 I then short roped us off the slabs and down the scramble back to the bags. 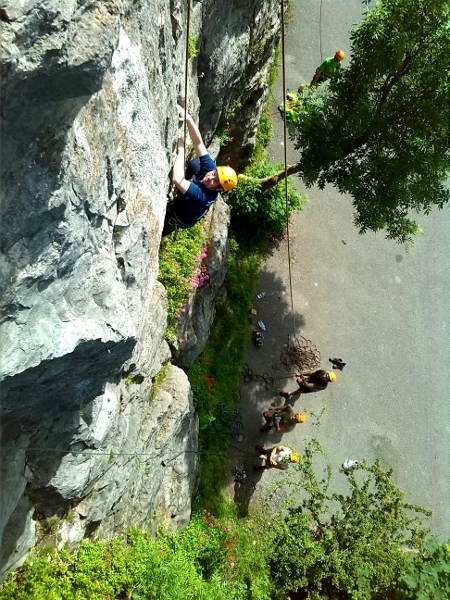 This weekend I was joined by a keen bunch; Liam, Pralad, Sam and Karl on an Outdoor Rock Climbing Course. They all had about 6 months indoor experience with some lead climbing. 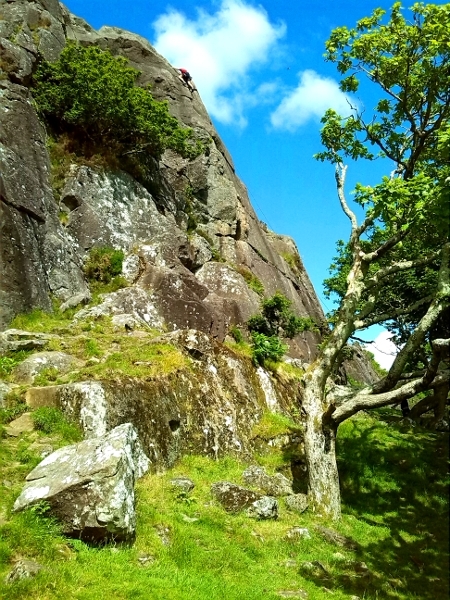 Day one we headed out in glorious weather to Tremadog upper tier… the walk in nearly killed them, but we were safe once rock climbing. We hit up a few of the harder VS and HVS routes on the left hand end of the crag. Firstly I took the guys up top to show them how I was rigging the ropes to hold them. Placing a few wires and hexes then backing everything up with the iron stakes that are insitu at the crag. It really is an SPA climbing paradise. After a stiff warm up (K.M.A. HS 4a), we got into discussing all the kit that I had along with me for the day. Dyneema Slings of differing lengths, Wallnuts, Rocks, Hexcentrics, Dragon Cams, 4CUs, quickdraws and extenders. 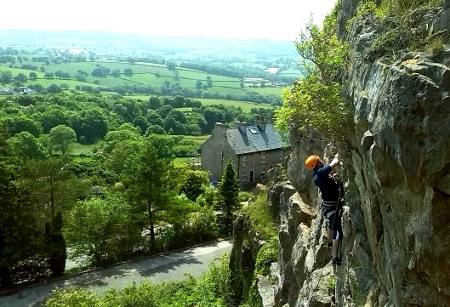 Next up, they each climbed the cracks of the VS (Madog VS 4c), with a steep learning curve in the art of toe / foot jamming and embracing the pain. Except Karl, who lay-backed the whole crack sequence, again! For lunch, I was entertained watching the guys try and eat yoghurts without spoons, a great crag food! At least they bought a picnic blanket with them… I’m not sure who lugged that up the walk in, but good effort that man. 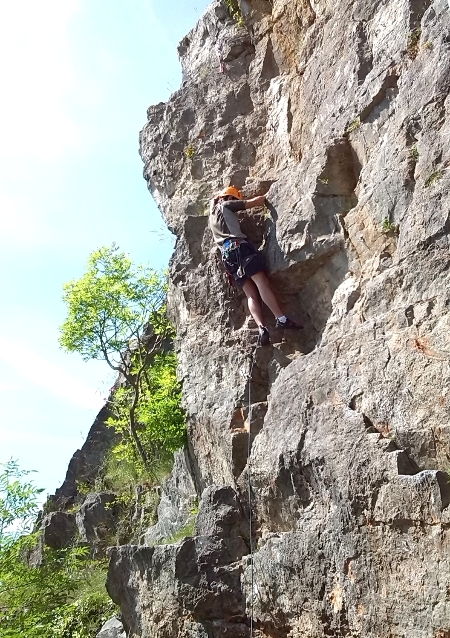 Next up was Myomancy (HVS 5b), which is a really good and interesting route. Whilst a pair of the lads were climbing on this, I was talking through belaying up leaders to stances. Two point belays with a sling, and with just rope. Three point belays with ropes all coming back to clove hitches on an HMS carabiner. 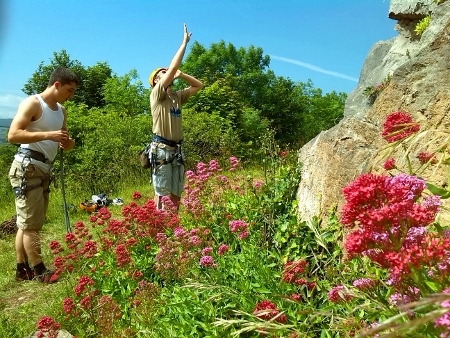 It was about this point of complexity that we decided to go sport climbing the next day, and rein it in a little! Though I could see the minds of the three engineers ticking away watching the shiny kit like magpies. I don’t think I’ve ever had so much interest in demonstrating a 3to1 mechanical advantage hoist of a climber. For a warm down to the day and as the light turned fantastic for photos, we headed up Quatre Fois (VS 4c). Unfortunately the wind dropped, conditions were absolutely still and delightful, BUT for the midges too… they promptly came out and attacked us all. Most of us fine, with a few little itches, but Liam’s legs suddenly showed signs of chicken-pox and were swelling up. Time to call it a day. 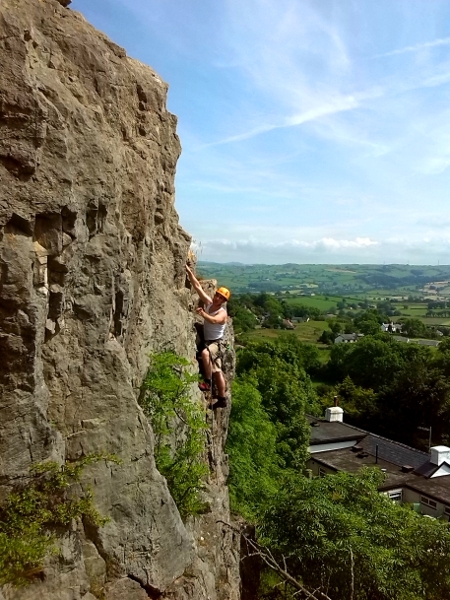 9.30 meet tomorrow at the service station on the A55 for some Sport Climbing. 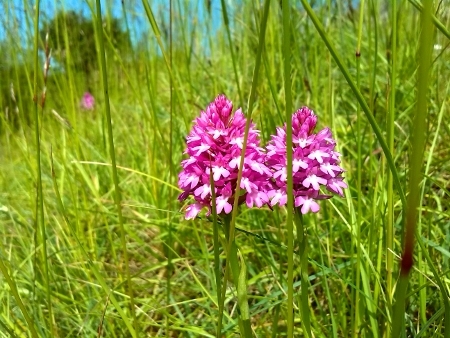 Day Two; Castle Inn Quarry. Another North Wales climbing gem. This place is an intro to sport heaven. Routes from french 3 through to 7a, with a significant number around 4-5. I kicked off by leading and putting up a rope on Mogadishu and More Than This. 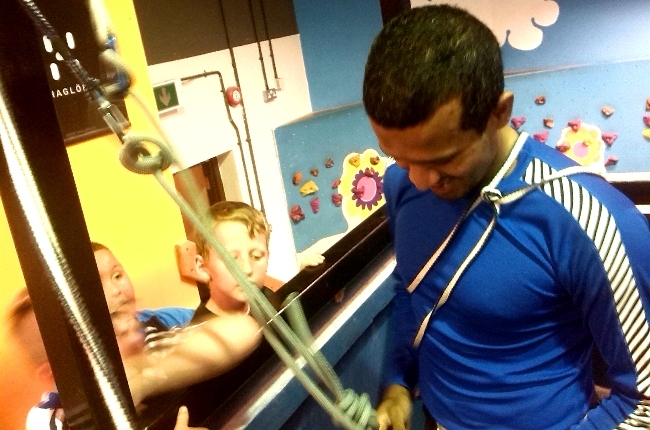 Whilst climbing and simultaneously talking through the safest way to clip the bolts, manage the rope and organise the lower off. Then it was for the guys to lead and set up One Fine Day. 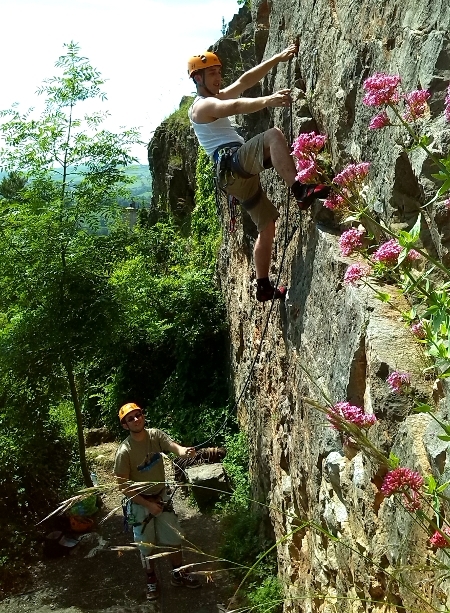 This is another fantastic way to Learn to Lead as the route itself is french grade 3, so all concentration can be put into the lead climbing without any worry of falling off. After a few plays with the Beta-stick (engineers remember), we headed for Nain, Ffrind, Taid and Hidden Gem. The team pretty much clean onsight/flashed all of these routes which was a really great effort, especially on such a hot sweaty day. 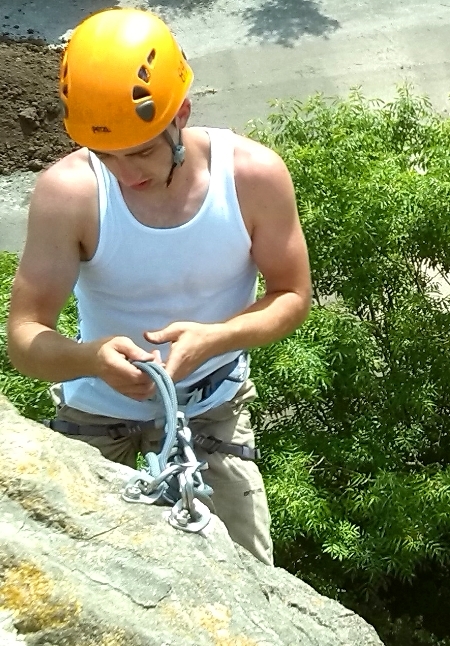 Super friendly intro to Sport Climbing Crag. The top of Hidden Gem is another great site for learning, that I often use. The bolt belay includes two hangers close together with a ring through each. As well as this, as the instructor, I can scramble around the side and watch/supervise the cleaning out of the route. This involves the climber clipping into the belay, pulling through a couple of meters of slack rope, threading it through the bolts, retying their knot, then cleaning out all the quickdraws placed on lead as they come down. It’s a fairly complicated process, which on the first few times, is great to practice at ground level, then with the eyes of a qualified Mountaineering Instructor (or experienced and knowledgeable climber) watching on. All these routes in the stonking heat had taken their toll. So I quickly lead and put the draws in Route 2, acting as a bit of a test piece for Liam. He moved quickly and precisely up the route with never a glimmer of falling. Good effort, star player. Nice one guys, pleasure to climb with you. First Trip, First Day, First Morning, First Route, First bit of Gear…. FIRST MEGA FLASH PUMP OF THE YEAR !